The bride has the authority to dictate on what the flower girls will wear. The dress has to complement other maids’ dresses; therefore, it is vital to buy the dresses after the bridesmaid has chosen their color. However, the bride can dictate the tone before purchasing of other dresses and do a wholesome order. There are several factors you need to consider before purchasing the princess dresses. The little ones are growing and will need a dress they will wear for quite some time. Also, the young girls may not withstand some harsh weather like other maids. Therefore, you need to consider the design of their flower girl dresses. The length goes according to age. Choose the right range for her age and height. However, some girls are much smaller or more significant than their actual age. It is advisable to get the right size from the mother from a current dress she wears. The tea length goes well with younger children while much older children look elegant with floor length dresses. The neckline should fit perfectly. Children need something light and comfortable. Avoid clothing that is rough or itchy because it will make her uncomfortable. Also, the durability of the fabric is a significant factor to consider. 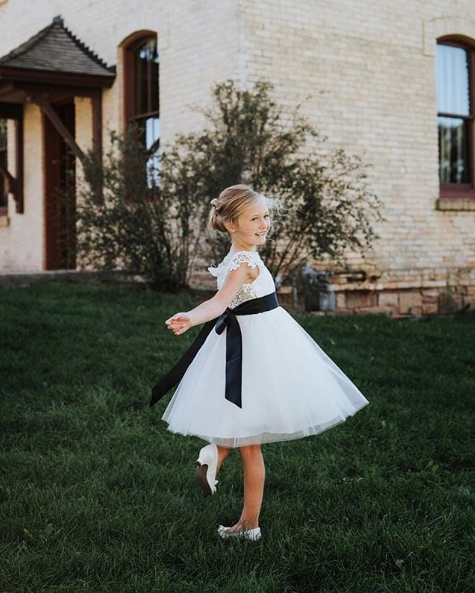 Fabrics that are tough to wear and tear like chiffon, organza or satin are amongst the best choices for flower girl dresses. There are more comfortable materials but may not withstand tear. Children need dresses that fit well without feeling shabby or oversized. When purchasing the dresses several months earlier, they should be a size bigger because children grow very fast. One crucial factor to know is the girls should wear the clothing as it arrived without making alterations. Therefore, make sure you have the right sizes before purchase. Children are delicate thus; choose something that saves them from the weather. It is advisable to add stockings and sweaters during the cold season and maintain short sleeves during the hot weather. Sometimes, according to the weather, you need dresses with long sleeves to keep the little angel comfortable. The flower girl dresses sometimes have high prices. Always check with the parents on what they will afford. Also, allow the parents to assist in the selection of the perfect dress amongst those you have established. The little girls draw more attention than other bridal party participants. Therefore, they must be dressed well and give the glow a wedding requires. It is essential to bring the girls to the store for fitting before the purchase of the dresses. Also, come along with a proposed design of shoes to see how they will appear on that day.